A young shaman of the Galayi people has a powerful and frightening vision of the Cape of Eagle Feathers, a gift of the Thunderbird worn by the Seer and Wounded Healer to divine the future. The torn and bloody cape can no longer cast its light into the spirit world, but the shaman’s dream reveals the cure: A child born to the Galayi will restore the cape and return the goodwill of the gods. Dahzi may be that hero—if he can survive the hatred of his grandfather, whose hostility has been passed down from mother to son. Dahzi carries the hope of his people, along with the power to become a great chief. But to meet his destiny he must defeat not only the enemy warriors who prey on the Galayi, but also the head of his own family. 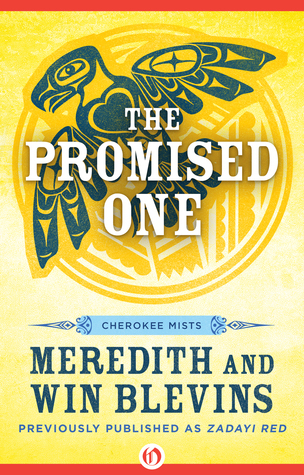 A timeless coming-of-age story enriched by Meredith and Win Blevins’s deep knowledge of ancient Native American myths and folklore, The Promised One is a fantasy novel unlike any other. Sunoya was born with the both a blessing and a curse. She is either going to find the one to help the Galayi people in their time of darkness or she was going to be the one to bring that darkness. But she has be mentored by the medicine man and hidden her curse. But when she learns of Dahzi, her nephew, she knows that he could save the Galayi. Sunoya takes Dahzi from his grandfather and uncle’s that are trying to kill him and proceeds to raise him has her own son. Dahzi has many trails to face on his path to find eagle feathers to fix the Cape of Eagle Feathers and stop his grandfather. That is can be considered a history of the Galayi people based on the Cheyenne. There are so many myths and stories that revolve around Dahzi. Along with Sunoya he does get help with his trials from a god. But his grandfather is ever present and insistent on his failure and his death. This is an amazing story. I loved the Native American stories and couldn’t read fast enough to see if Dahzi was going to save his people. If you like stories of Native American myths or even if you need a great story of a boys journey to manhood you need to get this book. To purchase The Promised Ones make sure to check out Amazon and Goodreads. 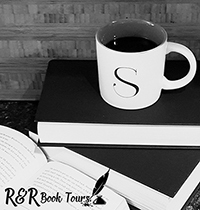 I received The Promised One for free from Netgalley and Open Road Media in exchange for an honest review.